Vanessa Redgrave is in English actress who has appeared on the stage, on the television screen and on the big screen in movie theaters. She is an award-winning actress and has won the Oscar, Emmy, Tony, Cannes, Golden Globe, Screen Actors Guild and Bafta awards. With more than 35 appearances on the stage and 80 movies to her credit, Ms. Redgrave was declared the greatest living actress of our time by Tennessee Williams and ranked as the ninth greatest actress of all time by The Stage in 2010. In the book My Life So Far, Jane Fonda said, "There is a quality about Vanessa that makes me feel as if she resides in a netherworld of mystery that eludes the rest of us mortals. Her voice seems to come from some deep place that knows all suffering and all secrets. Watching her work is like seeing through layers of glass, each layer painted in mythic watercolour images, layer after layer, until it becomes dark - but even then you know you haven't come to the bottom of it..."
On this page, learn a bit more about Ms. Redgrave and discover some of her best movie performances. I have not seen all of her movies...yet. You? What is Vanessa Redgrave's Family Background? Acting, apparently, is in Vanessa Redgrave's genes. She is related to sir Michael Redgrave, Rachel Kempsen, Lynn Redgrave and Corin Redgrave. She is also the mother of Joely Richardson and Natasha Richardson and she's aunt to Jemma Redgrave. Where Did Vanessa Redgrave Study? Ms. Redgrave studied at the Central School of Speech and Drama in 1954 and made her first appearance in London's West End in 1958. Since then it would seem there's been no stopping her. What Are Vanessa Redgrave's Politics? Ms. Redgrave frequently chooses difficult roles over profitable roles. I expect this is in part, at least, due to her political activism. In the 1970s she cofounded the Workers' Revolutionary Party with her brother. She ran for parliament several times in the United Kingdom. She is a supporter of the Palestine Liberation Organization. She has served as UNICEF Goodwill Ambassador. She has strong convictions and she is outspoken about them, despite the fact that they may have influenced opportunities in her professional life. This two-part 60 Minute interview covers many of the years of Vanessa Redgrave's acting and politics. The first part is just over 6 minutes in length; the second, just under 6 minutes. Both give insight into the choices she has made in her life. 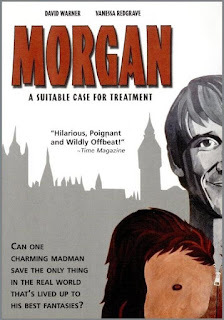 Vanessa Redgrave's first movie was this British comedy classic, Morgan: A Suitable Case for Treatment. Ms. Redgrave co-starred as the ex-wife of a man who was obsessed with keeping her from being married to his best friend and his efforts take some bizarre turns. The movie proves that "love is eternal, sanity is relative and nothing is more dangerous than a heartsick man in a gorilla suit." It is said that Morgan: A Suitable Case for Treatment turned David Warner and Vanessa Redgrave into overnight stars. This movie, Ms. Redgrave's first film, brought her first Academy Award nomination as well as nominations for a BAFTA Award for Best Actress in a Leading Role and a Golden Globe Award for Best Actress in a Motion Picture Musical or Comedy. She won the Cannes Film Festival Best Actress Award for this role. Ms. Redgrave tied for a Kansas City Film Critics Circle Award for Best Actress in Camelot and was nominated for a Golden Globe Award for Best Actress in Motion Picture Musical or Comedy. Camelot was also successful movie at the box office. Isadora was Ms. Redgrave's second Academy Award nominated performance and also won her a nomination for a Golden Globe Award for Best Actress in a Motion Picture Drama. She won the Cannes Film Festival Best Actress Award and the National Society of Film Critics Award for Best Actress. In Julia, Ms. Redgrave stirred up controversy when she acted with Jane Fonda as a woman fighting the Nazis. It was very successful with the critics and she was nominated for Best Supporting Actress at the Academy Awards. Her politics caused Jewish groups to demand that her nomination be cancelled. It was not, however, and she won the award taking the opportunity to make a comment during her acceptance speech that was not popular with the public. For this movie, Ms. Redgrave won the Oscar for Best Supporting Actress and also won the Golden Globe Award for Best Supporting Actress in a Motion Picture, the Kansas City Film Critics Circle Award for Best Supporting Actress and the Los Angeles Film Critics Association Award for Best Supporting Actress. For her role in Mary Queen of Scots, Ms. Redgrave won a David di Donatello Special Award. She was also nominated for an Academy Award for Best Actress and a Golden Globe Award for Best Actress in a Motion Picture Drama. Vanessa Redgrave took on many important popular and unpopular topics. 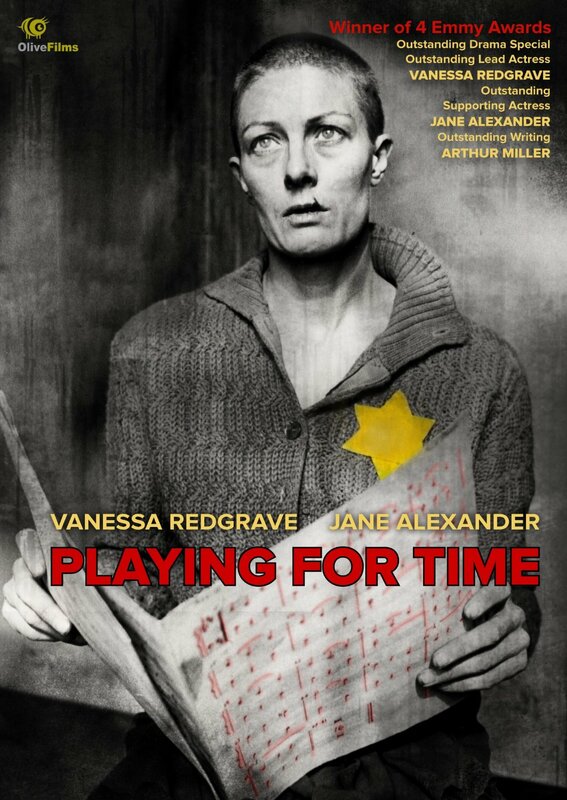 In Playing for Time, a made-for-television movie, Ms. Redgrave played a prisoner in Auschwitz, a Nazi concentration camp who was spared death because she was a performing artist and able to entertain her Nazi captors. In a swirl of controversy, Ms. Redgrave won the part over Barbara Streisand and went on to win an Emmy for Outstanding Lead Actress in a Miniseries or Movie for her role. 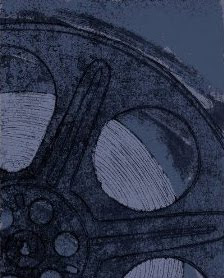 The movie was one of the highest rated programs of 1980. I watched Playing for Time recently and I can highly recommend it. Ms. Redgrave won the National Society of Film Critics Award for Best Actress in The Bostonians. She also received nominations for an Academy Award for Best Actressand a Golden Globe Award for Best Actress in a Motion Picture Drama. Ms. Redgrave won the New York Film Critics Circle Award for Best Supporting Actress in Prick Up Your Ears and was nominated for a BAFTA Award for Best Actress in a Supporting Role and a Golden Globe Award for Best Supporting Actress in a Motion Picture. Vanessa Redgrave won an National Society of Film Critics Award for Best Actress in Wetherby. Ms. Redgrave was nominated for an Academy Award for Best Supporting Actress in Howard's End. Ms. Redgrave was nominated for a Golden Globe Award for Best Actress in a Miniseries or Television Film for Bella Mafia. Ms. Redgrave was nominated in Young Catherine for a Primetime Emmy Award for Outstanding Supporting Actress in a Miniseries or a Movie. Vanessa Redgrave was nominated for a Golden Globe Award for Best Actress in a Motion Picture Musical or Comedy in A Month By The Lake. 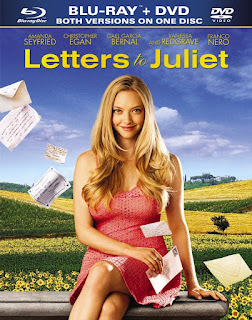 Letters to Juliet was a beautiful film, a thoroughly modern romantic comedy set in Italy in which Vanessa Redgrave was truly amazing. It was, as a matter of fact, her performance in Letters to Juliet that sent me looking for more information about the actress. The story is set in Italy and features an American on vacation who discovers a letter to Juliet (of Romeo and Juliet fame) amongst the many that are left every day. However, the one she finds is decades old and has been left unanswered. She sets off on a quest to find the lovers. 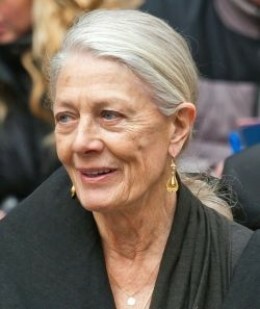 Vanessa Redgrave was nominated for a Satellite Award for Best Supporting Actress in a Motion Picture and for a Saturn Award for Best Supporting Actress for her role in Letters to Juliet. This movie is highly recommended by me for anyone who loves armchair movies and romantic comedy films. For her role in The Gathering Storm, a television film, Vanessa Redgrave won the Broadcasting Press Guild Award for Best Actress and the Satellite Award for Best Actress in a Miniseries or Television Film. She was nominated for the British Academy Television Award for Best Actress, the Primetime Emmy Award for Outstanding Lead Actress in a Miniseries or a Movie, the Golden Globe Award for Best Actress in a Miniseries or Television Film and the Screen Actors Guild Award for Outstanding Performance by a Female Actor in a Miniseries or Television Movie. In Atonement, Ms. Redgrave won the London Film Critics' Circle Award for British Supporting Actress of the Year and was nominated for the Broadcast Film Critics Association Award for Best Supporting Actress. Also available on DVD by clicking here. In Anonymous, Vanessa Redgrave plays Queen Elizabeth and her performance was nominated for the London Film Critics Circle for British Actress of the Year. "Music is the cure for the common crank." 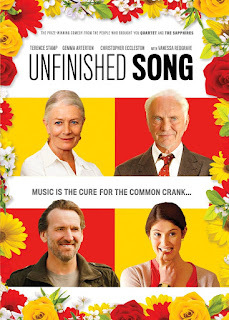 We watched Unfinished Song this weekend, a 2013 film starring Terence Stamp, Gemma Arterton and Vanessa Redgrave and we were totally impressed with the story line and the acting. This is one Vanessa Redgrave movie that you should not miss! Vanessa Redgrave is still making movies. I do not have a count of how many movie she has appeared in but a simple search on Amazon turns up the movies listed on this page and more. You can see all of the Vanessa Redgrave movies on Amazon by clicking right here. I truly enjoy her work. How about you? Check out all of the Vanessa Redgrave movies on Amazon. Please note that this page was originally written in 2012 on another website.